So people have often asked me what is it that I have ‘against’ Always… is it just because they’re such a big brand name and they’re so “popular” that I force myself to dislike their products? Absolutely not. I’m one of those people who like to give credit where due, so if they do make a good product, despite how much (example only) I dislike them, I would still give them the thumbs up. 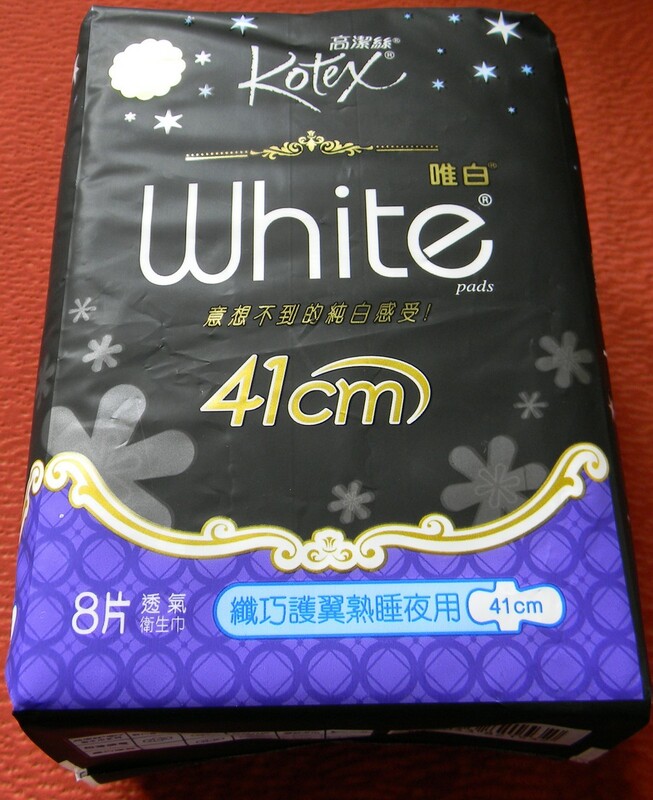 As I previously mentioned, my biggest “problem” with Always pads is ever since they switched to the so called “feels like cotton” top layer, which I have found to actually be more “feels like plastic” giving a very wet, uncomfortable feel. The worst is when there’s sweat involved, then it just compounds the feeling of the plastic-feeling. You don’t have to take my word for it since most people will point out, “But you’re a non-menstruating guy, how would you know?” – well, at least you can take my girls’ word for it. My ex was a huge “Always girl” even when she was with me and we were exploring with different stuff, but after a long-day out in a hot summer’s day or if we were involved in strenuous activities, whenever she changed her pad in the washroom she’d always complain about how terrible the sweat on the pad felt because it caused a “rough sliding” feeling due to the plastic-feeling of the top layer of the traditional series of the Always pads. 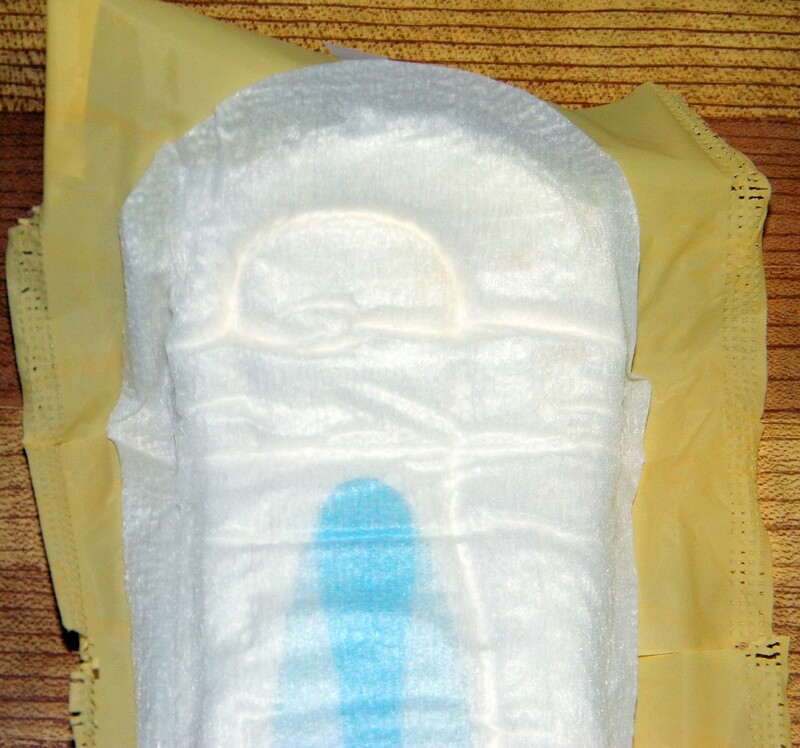 Whenever she tossed me her wrapped pad to throw in the garbage, the days where her sweat started to collect in the pad was noticeable and rather gross, so I can only imagine how the feeling of a sweaty-period-soaked pad felt on her. In the Leakguard w/ Odor Lock series of the Always pads, they really stepped up their game by changing the top-cover to truly be comfortable, with a dry weave that REALLY feels like cotton, is smooth and flexible to conform to the contours of the body. 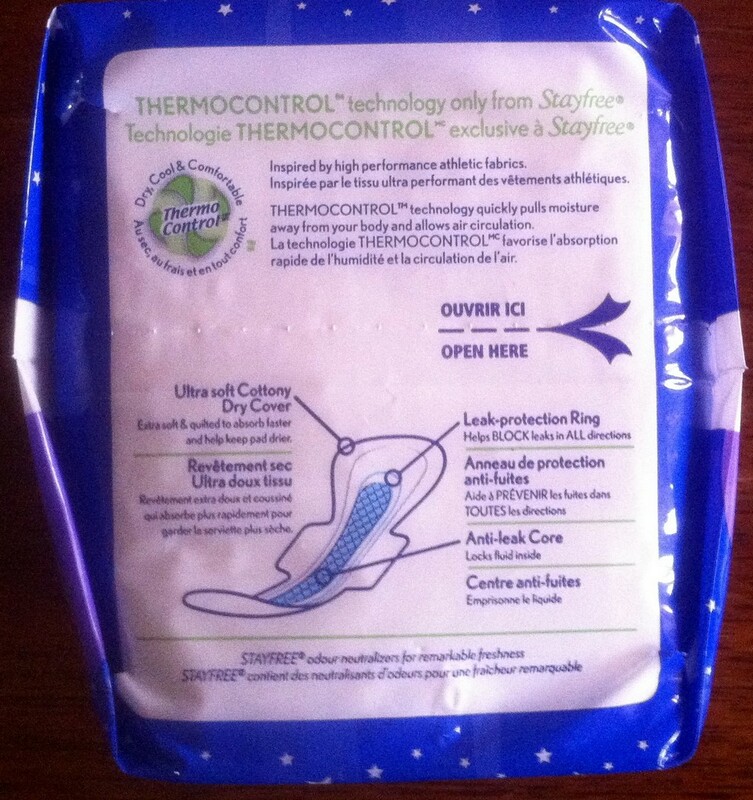 It would appear that none of the Leakguard w/ Odor Lock pads come with wings and why not, I have no idea. However, despite not having wings, they still fit well and hold well to undergarment. I’m sure for the women who are devoted to using winged-pads only, this might be a worrying test for them. 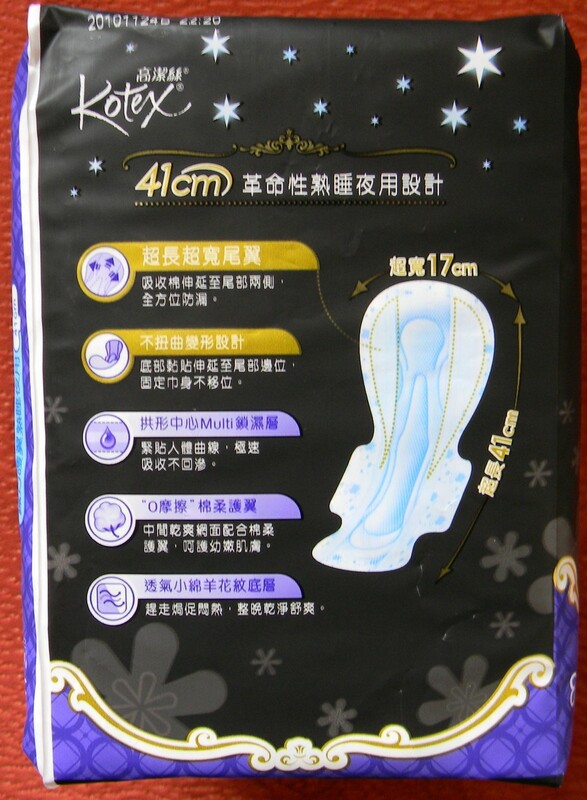 When it comes to getting the pad out of the package, it is just like any typical Always pad. The pad unfolds into 3 sections and you simply remove the pad from the adhesive. 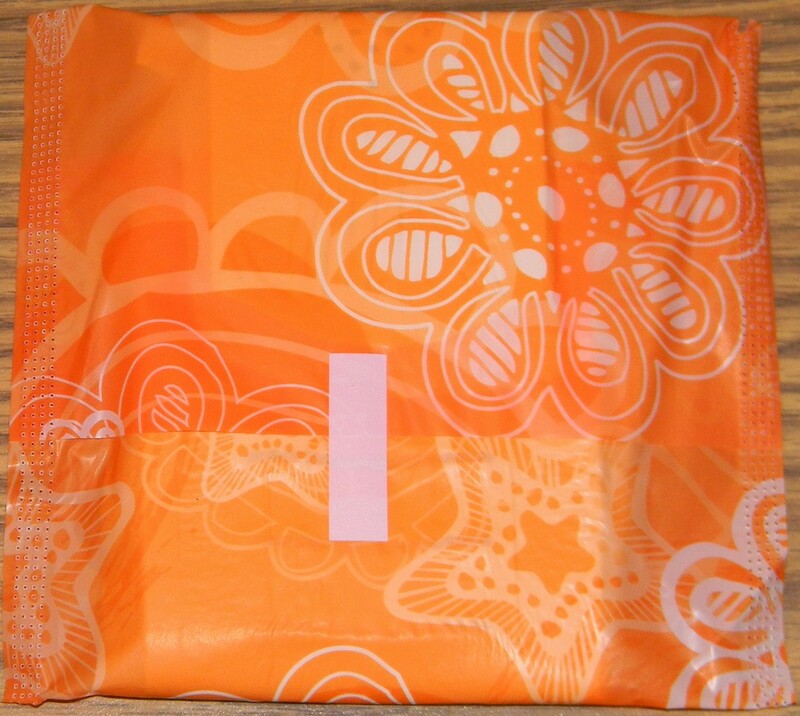 The wrapper has a white resealing tape that allows you to wrap/roll up the old pad, secure it and dispose of it. 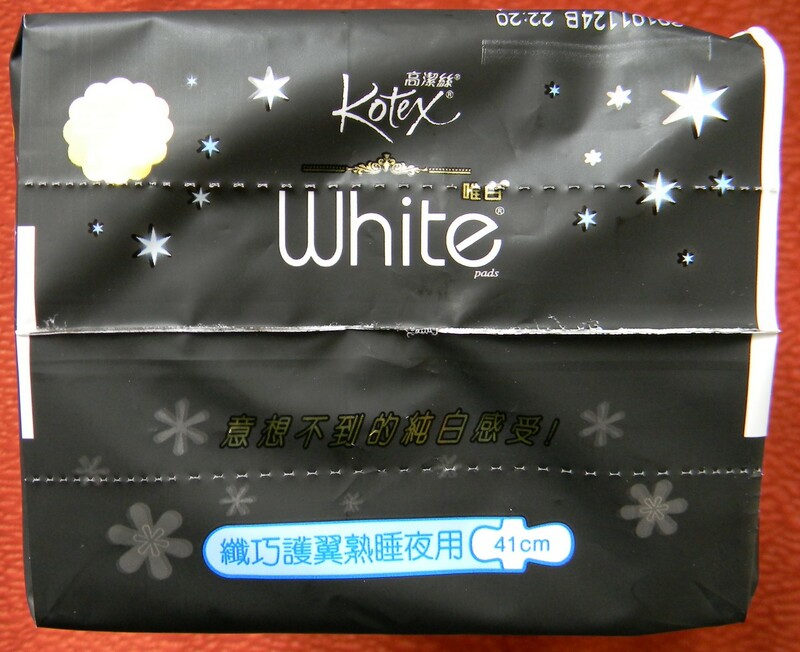 Because the pad itself does have a light scent it even passes it to the wrapper and helps mask the used and disposed product. 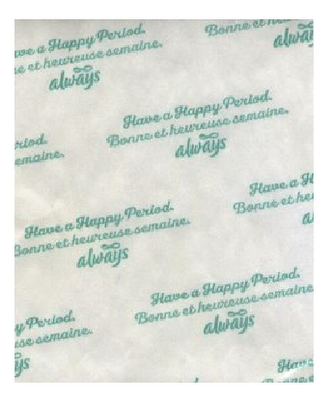 This is very useful for the women who often will “pool up” numerous used pads before taking out the garbage, because it helps control the amount of dried menstrual fluid that it begins to affect air quality. 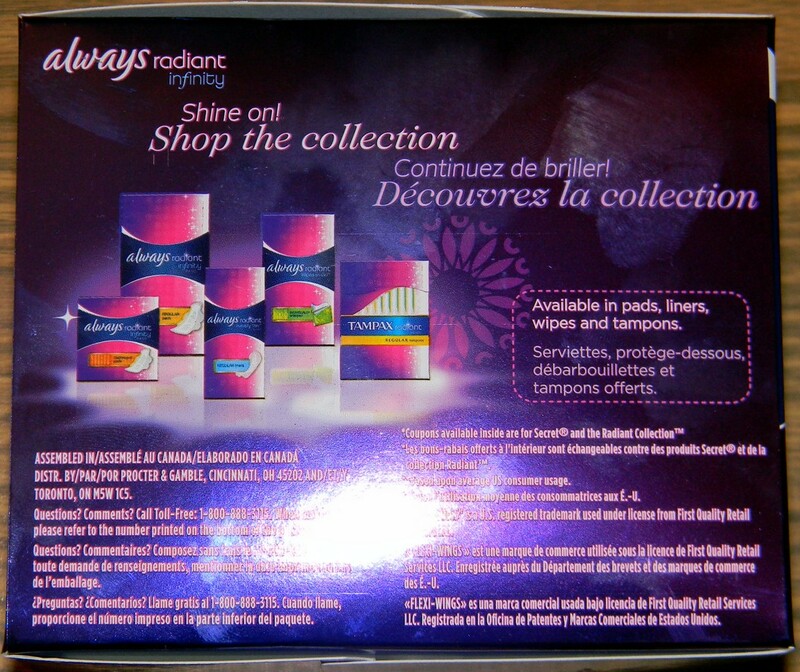 This was a very noticeable thing because when I went over to one of my girl’s house who was testing this product for me, her trash full of these (and different) pads didn’t give off the usual menstrual smell. 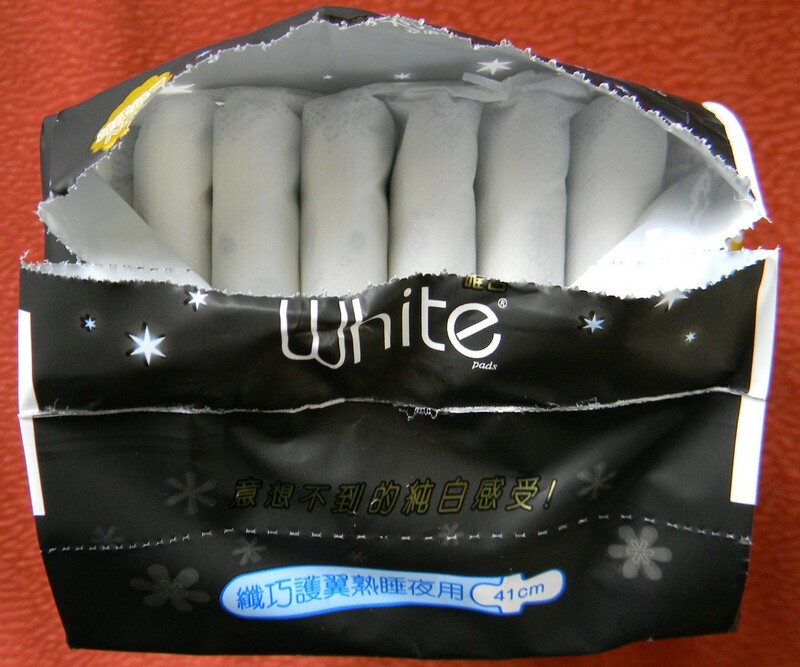 Since she’s living with 2 other female friends who appears to also be having their period, the scenting from the disposed wrappers really helped to kill odour which emits from wrapped, saturated pads. 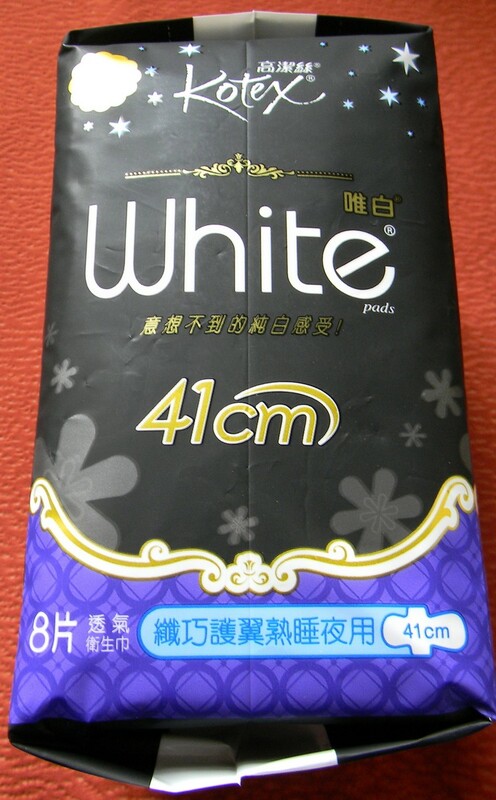 Another weird thing is that this line of product doesn’t have a lot of variety, they only come in two sizes/absorbency: Regular and Super, limiting the flexibility of the product since it cannot tailor to the various changes while menstruating or that is, unless you simply over-use or under-use the product. 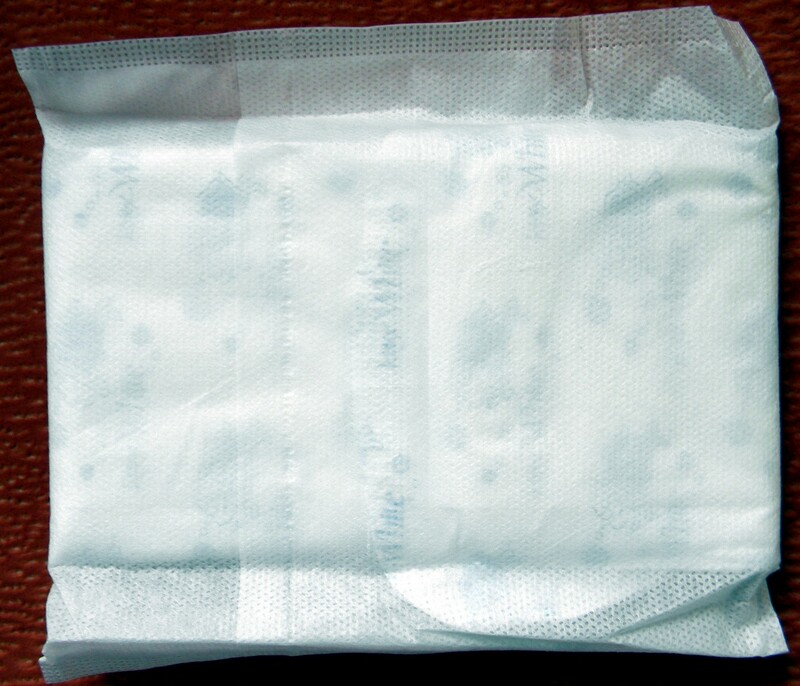 Supposedly, the pad is supposed to be able to deal with slight urine-loss, not that most pads can’t do that if it’s only a minor amount, but there’s one thing that’s particularly important when it comes to incontinence problems. Because urine is actually a lot smellier than menstrual flow, it’s an absolutely necessity for any form of odour control to be present in incontinence or partial-incontinence products. 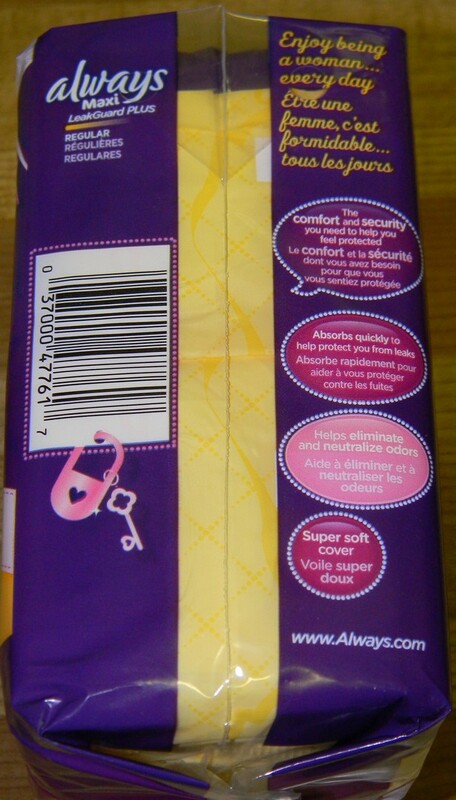 Since these pads had both period and incontinence handling in mind, the odour locking methods were rightfully used to design the product. 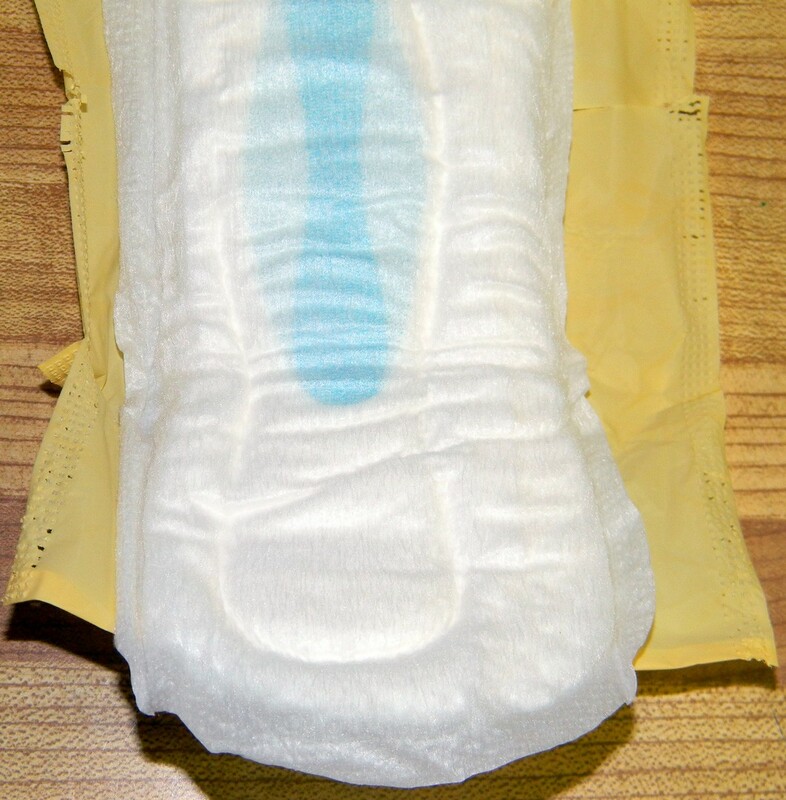 Mind you, a pad like this does not replace pads like Poise or Tena, since those were truly designed for a higher degree of non-menstrual fluid absorbency and the Always Maxi would only be suitable for those who have leakage as a result of a sneeze, cough or a small tinkle, but will not be capable of absorbing a bladder-full of urine – leave that up to the REAL incontinence products. 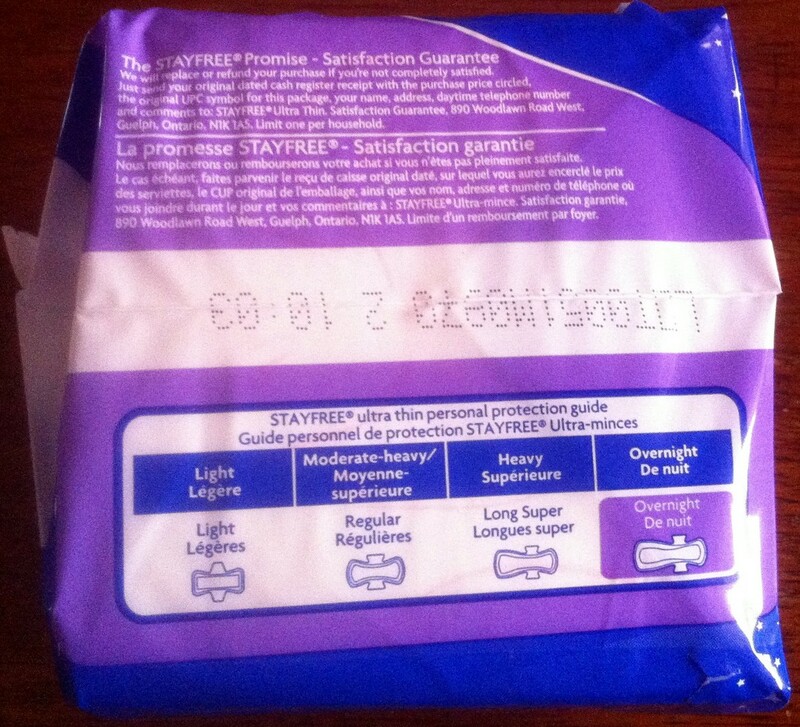 As you can see, these pad wrapper design has followed suit with the changes to their regular Always-line. 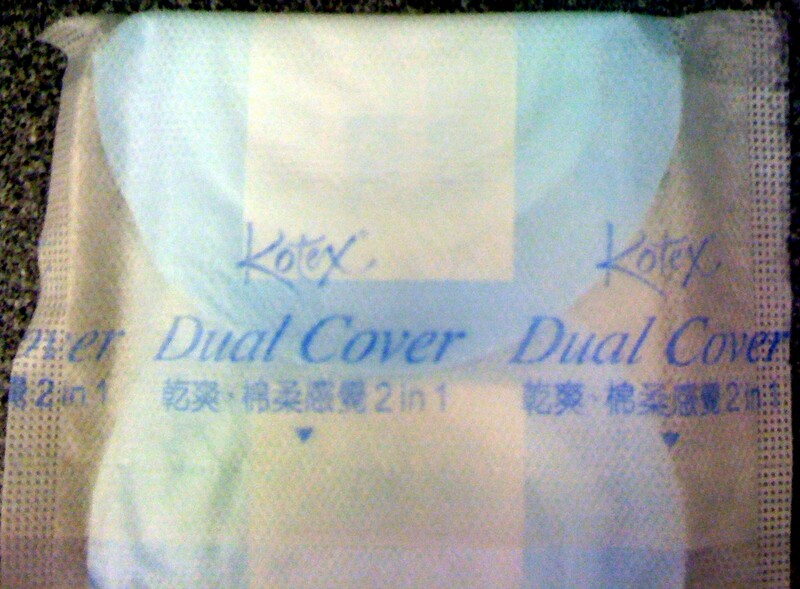 The colour coding for the pad wrapper is the same as their regular series as well, yellow for REGULAR and green for SUPER. 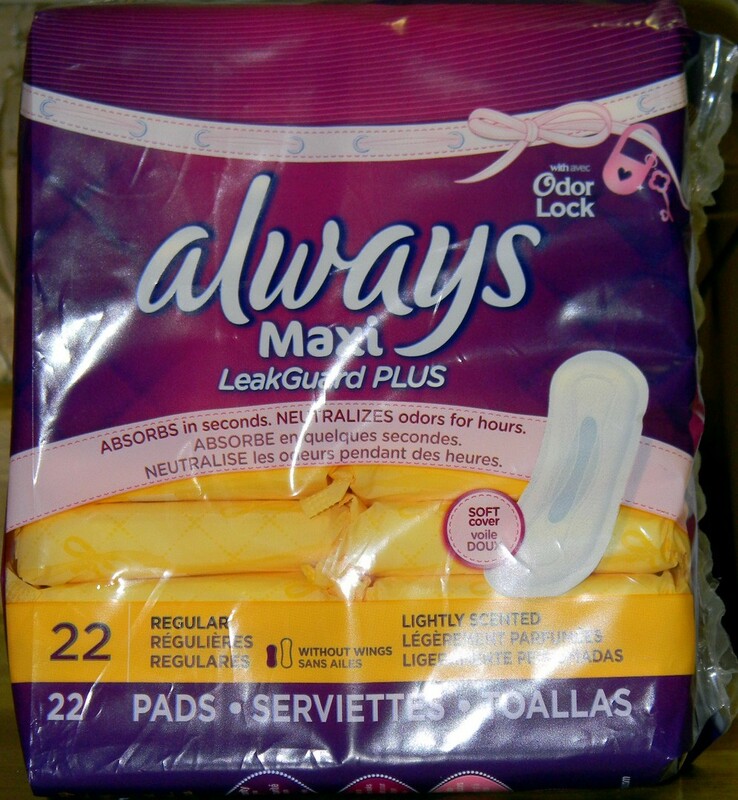 It has been a while since I’ve last held a REGULAR Always Maxi (original one), but I actually think the Leakguard Odor Lock series is actually lighter, probably due to the composition of the pad. Dimensionally, it FEELS smaller/shorter, but I think probably not, so maybe it’s just my own bias. 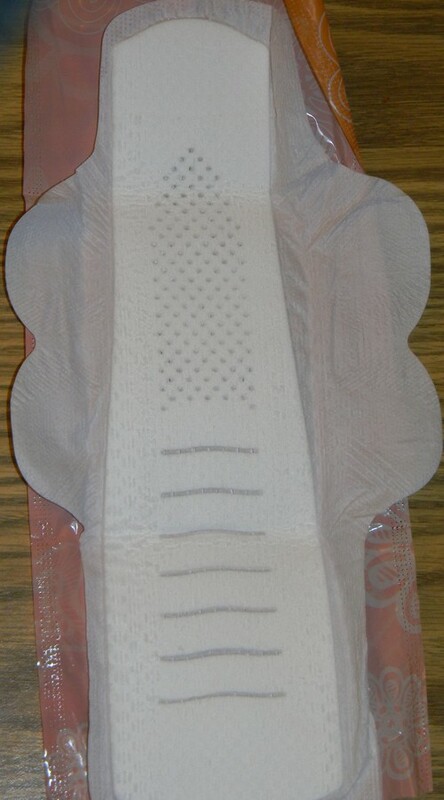 The regular-sized package of these pads come in 22 units. I paid (or well, Bebe paid) $3.88 for a pack of these, working out to 17.6 cents per pad. 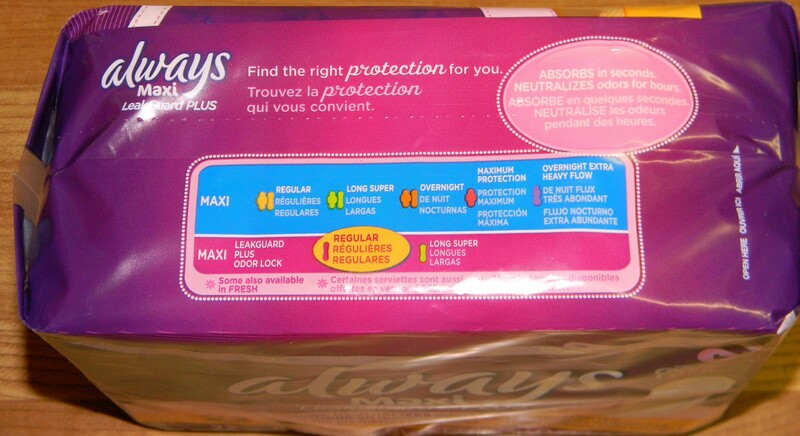 I was talking to one of my regular readers, Andie, and it seems like Walmart only likes to stock the REGULAR absorbency and not the SUPER, because the only place I’ve been able to find the SUPER absorbency ones are at the Rexall’s and SDM’s… so what’s up with Walmart not buying the larger ones? LOL. Speaking of which, I can tell that this line of product does not really appeal to the masses, because the inventory on them were nearly untouched compared to other brands or absorbency. I realize it’s a new product and not everyone likes to dive head-first, so hopefully this review will be able to help people out. 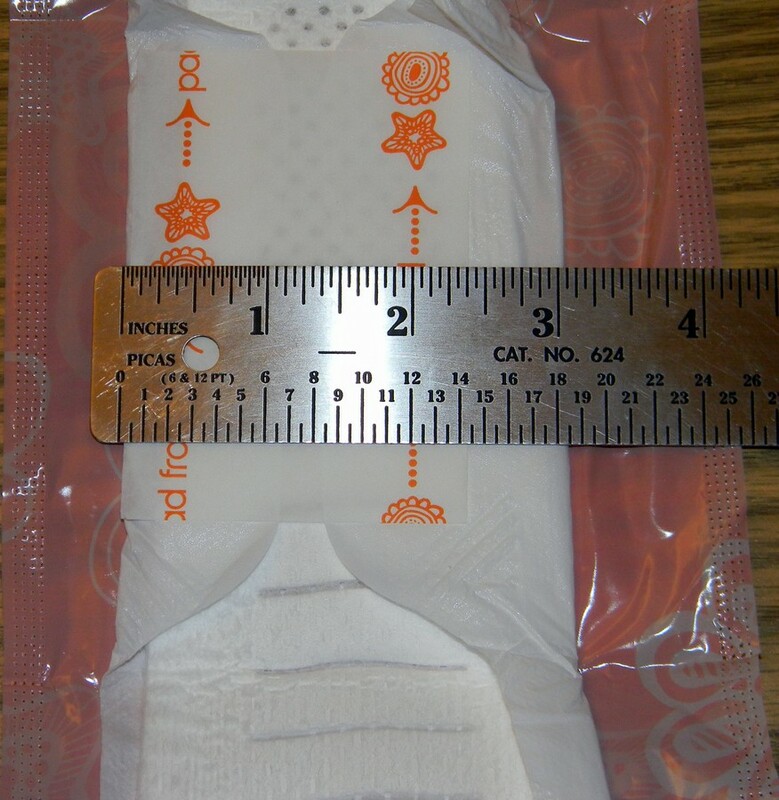 Really, the pad is far from being an incontinence product, so there should not be a fear or shame that buying these pads will automatically mean you have bladder issues. 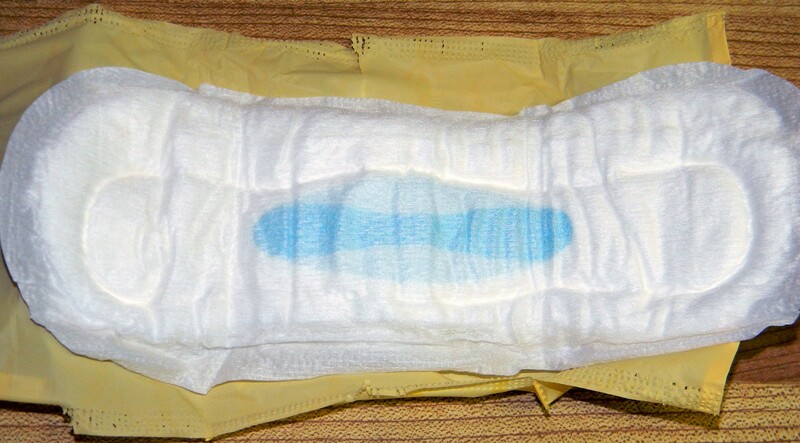 As you can see, just by the looks of it, it appears to be a lot more comfier than the traditional Always pad. They’ve finally decided that the rough, plasticky dry weave isn’t good enough for a “new product” and decided to use some REAL material that helps make the wearer feel much more comfortable and secure. Like the typical Always pad, they have the famous blue lock-in core. 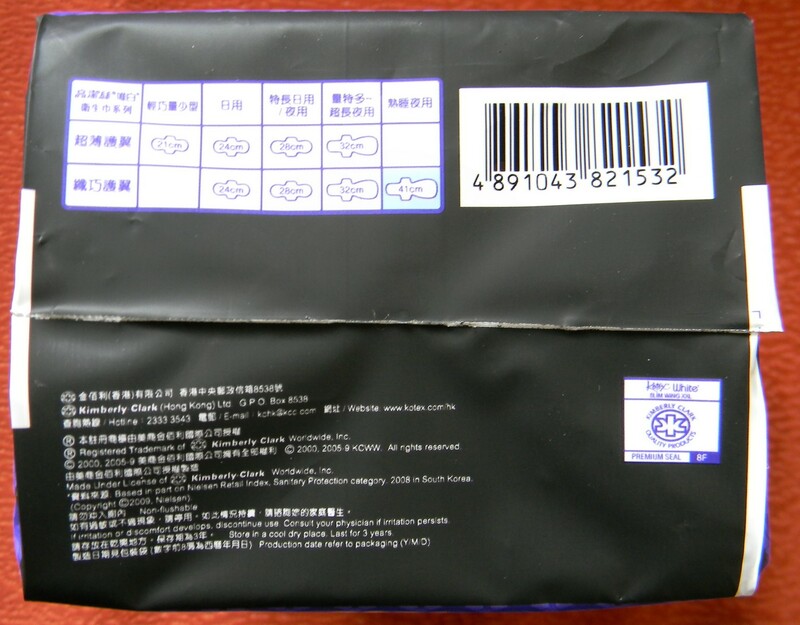 What’s very noticeable the first time you get a hold of the package or open the first pad is the scent. The scent is not strong like the Stayfree pads, but is still quite pungent. It takes a bit of getting used to and while it is “light” in terms of the strength of the scent, it is one of those unmistakable smells. 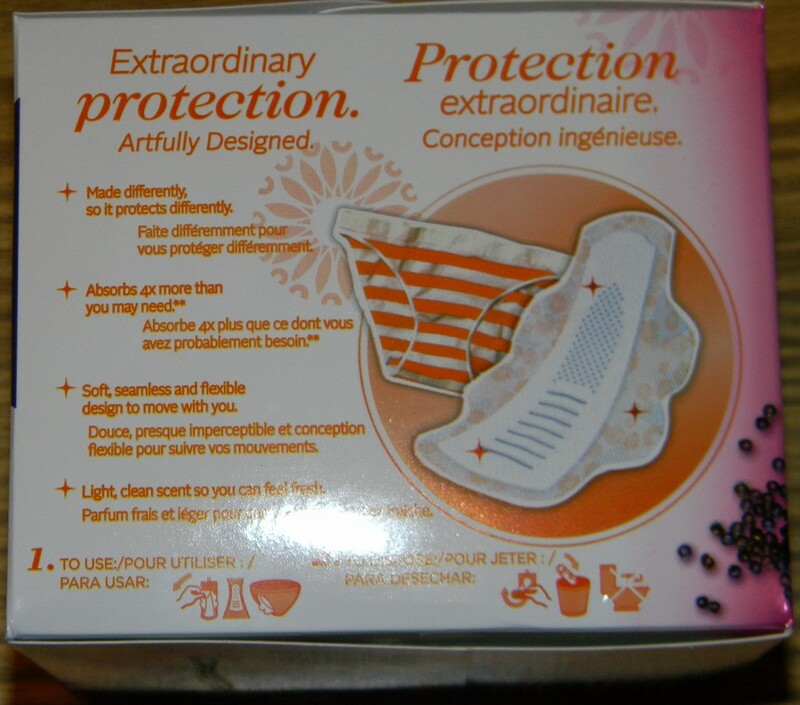 The smell luckily does not stick around as long as the Stayfree pads, but it is noticeable when the pad is worn, especially if the girl is wearing something that allows air to travel between her legs, like shorts or a skirt. 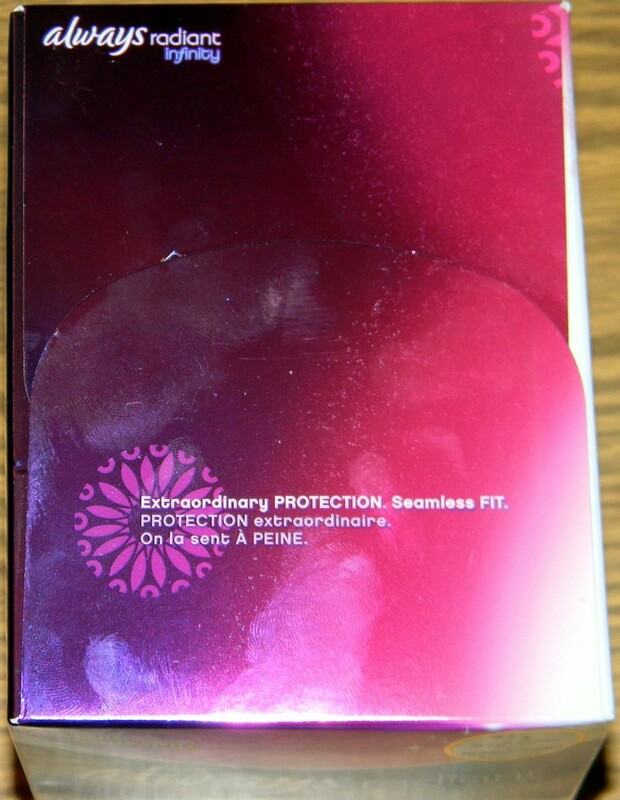 I don’t want to get people all riled up over it not being discrete or obvious, since a smell like this would only ever be detectable by someone who even knows what the scent is, such as a fellow female or menstrual enthusiast. The scent is really useful however as I stated before, both during period-use and as well as for post-usage when it is disposed. 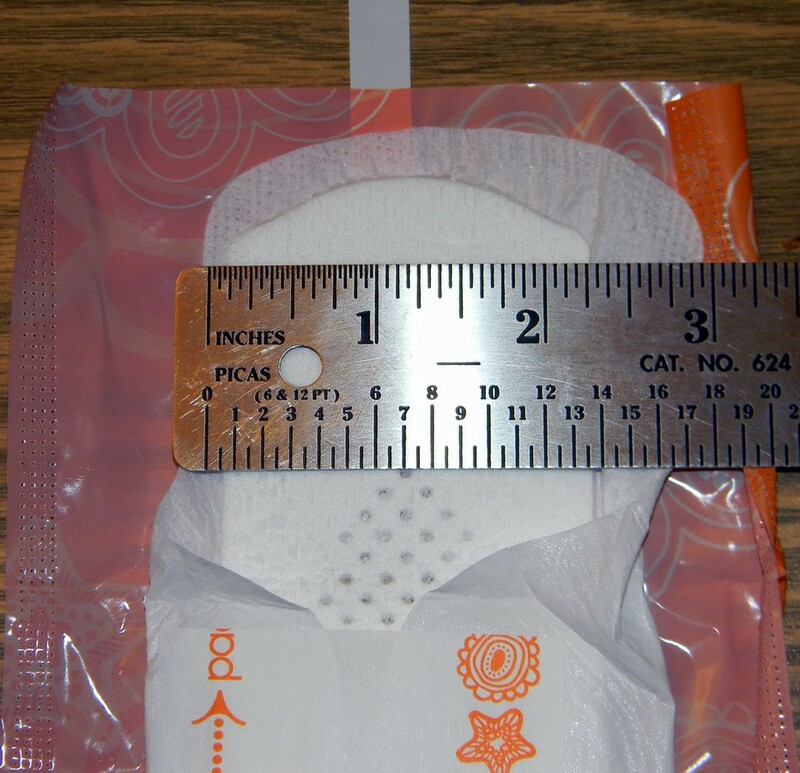 The pad is 8 inches (~20 cm) long and is a uniform 3 inches wide (~7.6 cm), except at the front & rear of the pad. The scent is very interesting, because it does more than give off a light smell or to cover-up odour, but also acts as a very cool and smooth feeling against the body. 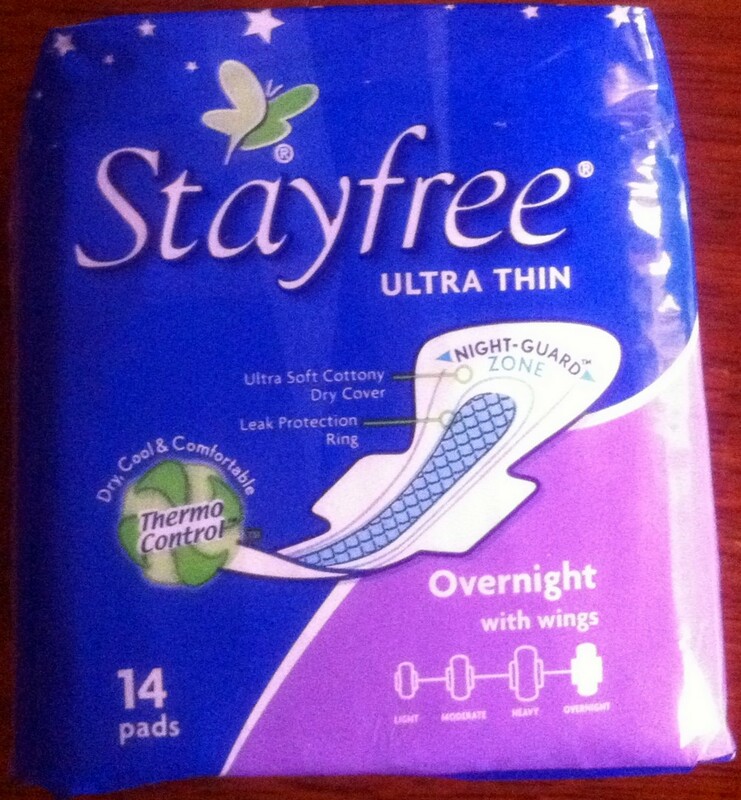 The feeling of this pad when used is similar to that of the Stayfree Thermocontrol pads, where it leaves a cool and comfortable feel on the skin. 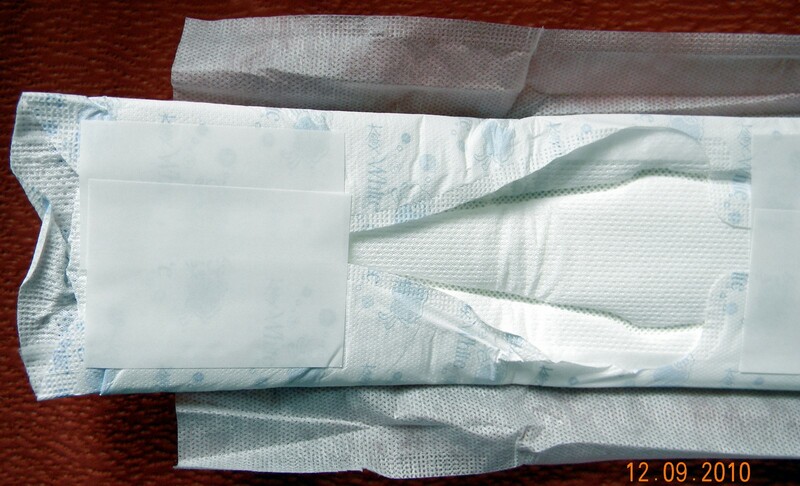 The pad cover, when saturated, begins to lock in odour, absorb quickly and emits a cool-like feeling. The smell of the scent is hard to describe, I would actually say that the smell is similar to herbs and gives a very soothing type of aroma. 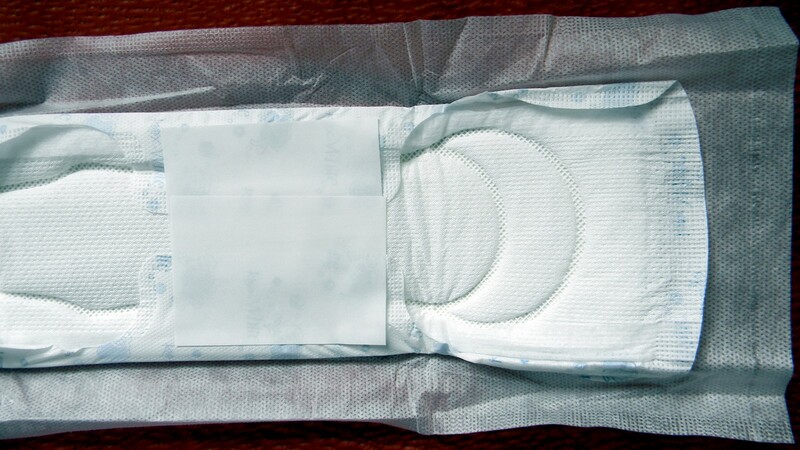 The absorbency of the pad is not as quick as the Always Infinity line, but is faster than the standard Always line. 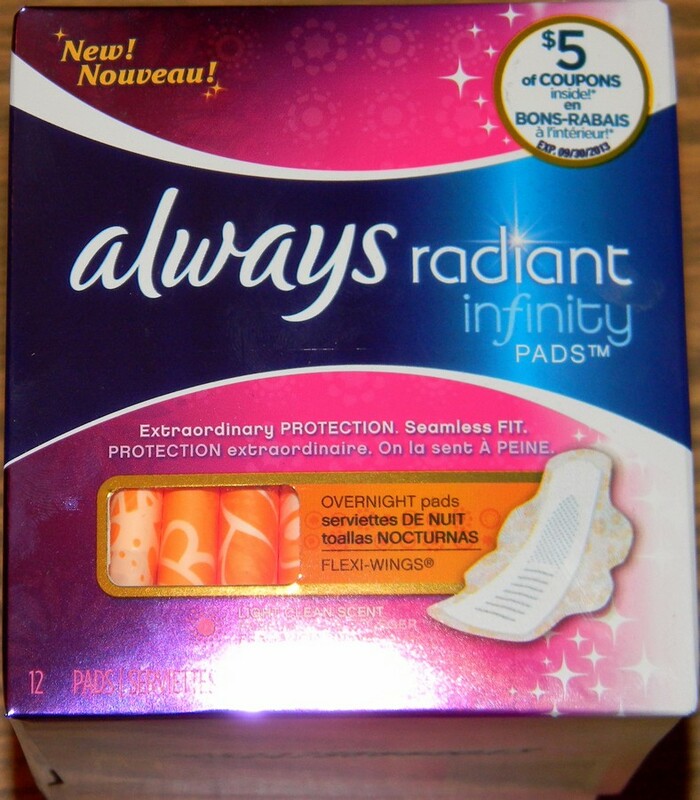 The pad itself is lightweight, again, lighter than the standard Always, but not as weightless as the Infinity. 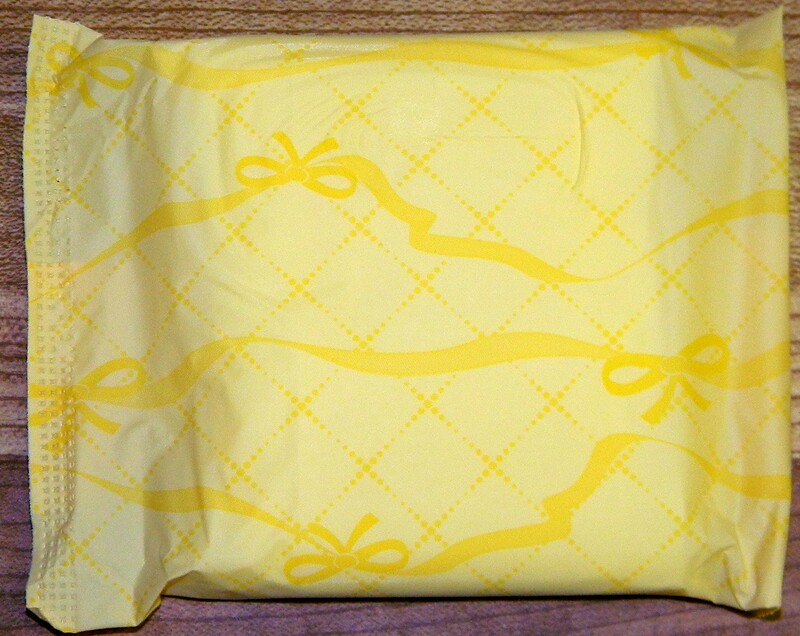 The disposal of the used pad is also nice because of the soft cover, unlike the standard Always line it isn’t as hard and tough to roll or fold up. When doing a test and twisting the pad, the flow managed to stay well-locked in the pad and did not flow back to the surface. With the suggestion of Andie, I disassembled the pad and could not find any obvious traces of absorbing gel and appeared to be made completely of cotton and cellulose-type material. The top cover continued to stay intact even during disassembling and it was very obviously that the “contents” of the pad were locked underneath and not sitting on the top layer, therefore, creating a very comfortable feel when the pad is saturated. The only problem with this design is that because it absorbs so well, it’s hard to tell when the pad has absorbed enough to be changed since it stays light and distributes flow underneath well where it isn’t apparent that it’s already “on the fringe” of leaking. 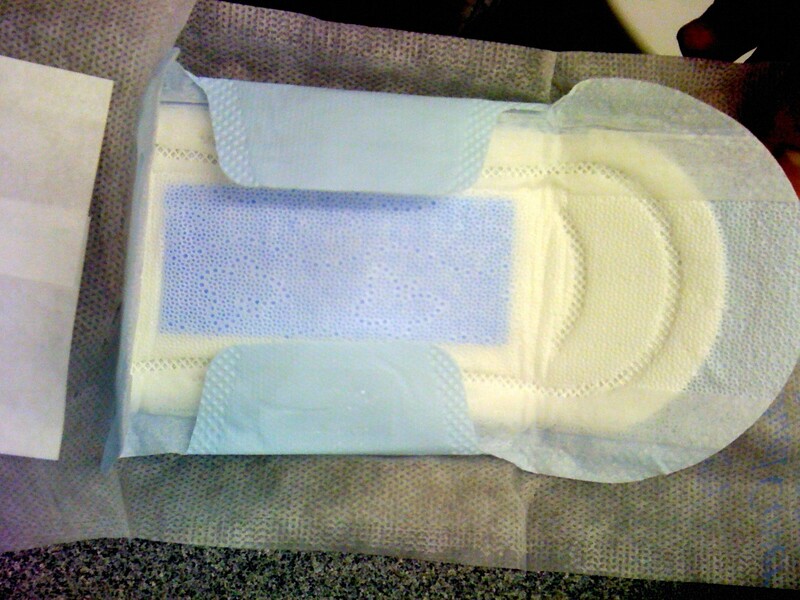 One of my girls who tested this for me did mention that she came to a near-leak incident because the pad didn’t appear or feel like it was ready to overflow because the center of the pad did not look saturated, nor did the pad feel weighty that would make you think it has collected quite a bit. I suppose this pad may take some getting-used-to to avoid the possibility of not being able to gauge when it is necessary to change. I would definitely recommend this pad to others and has given me renewed confidence in Always. It’s nice to know that they’re trying to get ahead-of-the-game and also moving away from their so-called “like cotton” dry weave and moving to one which feels comfortable, regardless of the weather. After all, pads are terrible when it’s gross outside and you’re sweating, mixed with menstrual flow smell and if incontinent, even urine – so to have a pad that can stand up to that really is impressive. Although the price is steeper than the usual line of pads or other brands, for $3.88 everyday low price at Walmart, I can’t complain. While at first glance this pad might not seem like a good idea to switch because of the price point, remember that comfort, security and absorbency brings a very important feeling to a menstruating individual. If Always continues to modify their pads with comfort in-mind, I’d be a lot happier to start supporting more of their products and perhaps they can win their business back from me and my girls! Was reading up Kayo’s as usual and found two new pad-series posted up! Credit goes to college flowlover for the find. 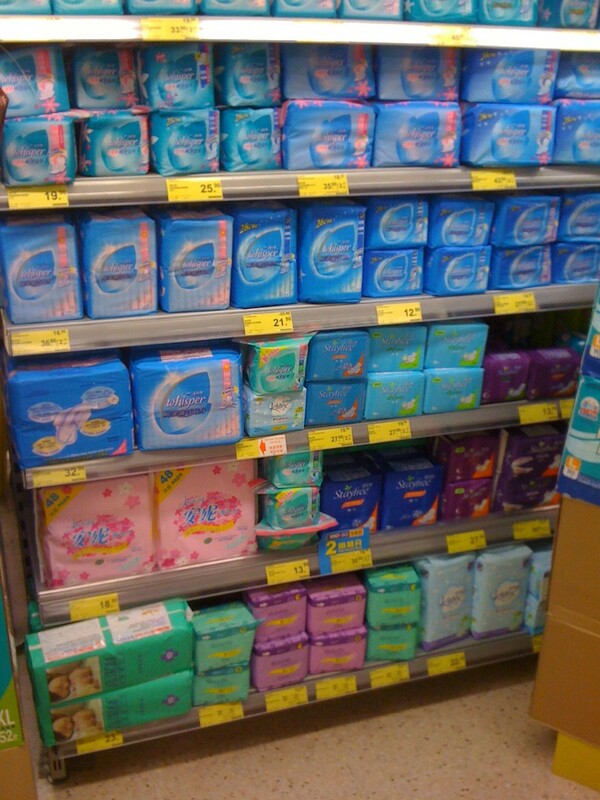 Looks like Always is trying to slowly seep into Tena and Poise market-share with incontinence products…. how Always will fare, we’ll find out soon enough! Unlock the best-kept secret in protection — NEW Always Maxi LeakGuard™ PLUS Long Super with Odor Lock™. For an active life with a sensitive bladder, you need a pad that does more than just absorb. That’s why we’ve created reliable, discreet protection you can use without changing your lifestyle. It absorbs in seconds and neutralizes odors due to urine and menstruation for hours. 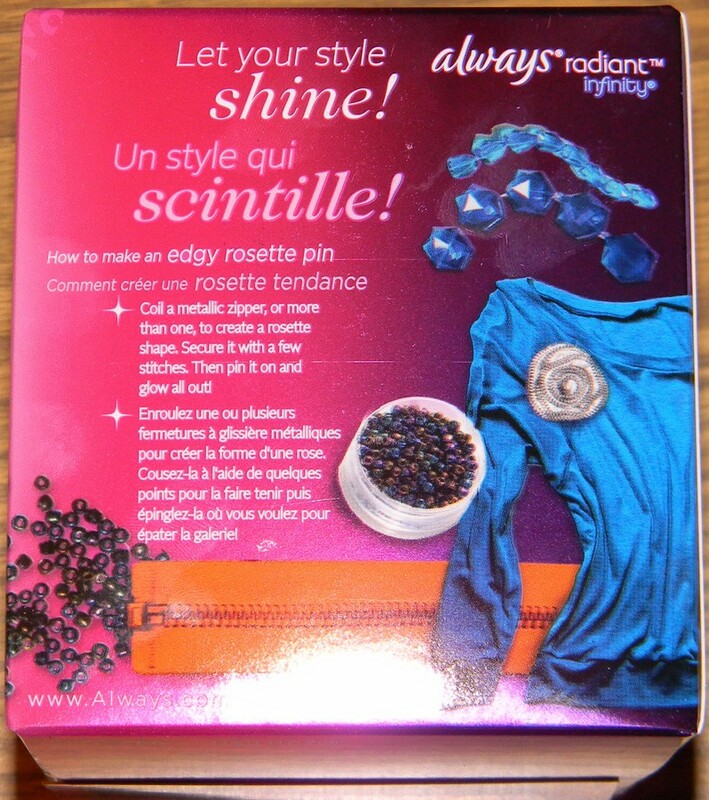 Plus, the soft, top layer helps keep you comfortable, while body-hugging channels help protect you against sudden leaks. Always Maxi LeakGuard Plus Odor Lock ABSORBS in seconds. NEUTRALIZES odors for hours. 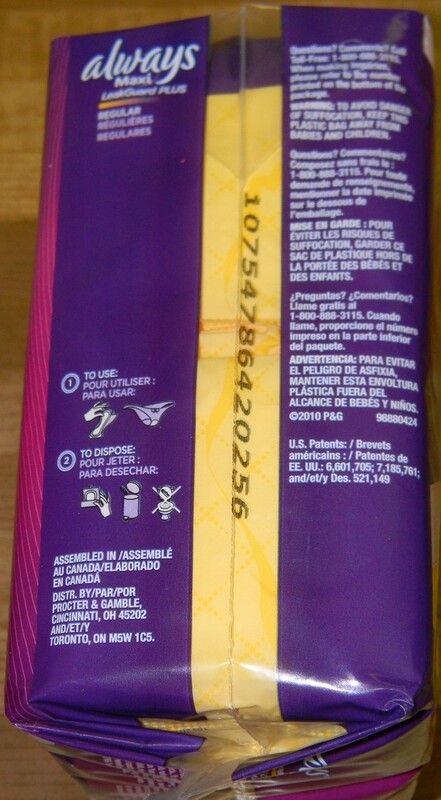 Directions: To Use: Remove Pad from disposable wrapper, apply pad to underwear To Dispose: Remove Pad from underwear, wrap in disposable wrapper, throw in trash. Do not throw out Pad in toilet. Totally cool that there are finally some new pads hitting the market! Of course the UbK pads are just an extension of their existing pad line, but the new Always will be similar to the Envive by Always that they have in other parts of the world. I hope this will reach Canada soon since the above information were for the US only sadly 😦 However, it’ll only be a matter of time until it gets here (just like usual, we’re slow) and I’ll be monitoring pad-news and the store shelves closely 😀 If anyone has any Canadian information on this, please feel free to let me know!